Beggs Melon Company is a family owned business that was established in 1895. 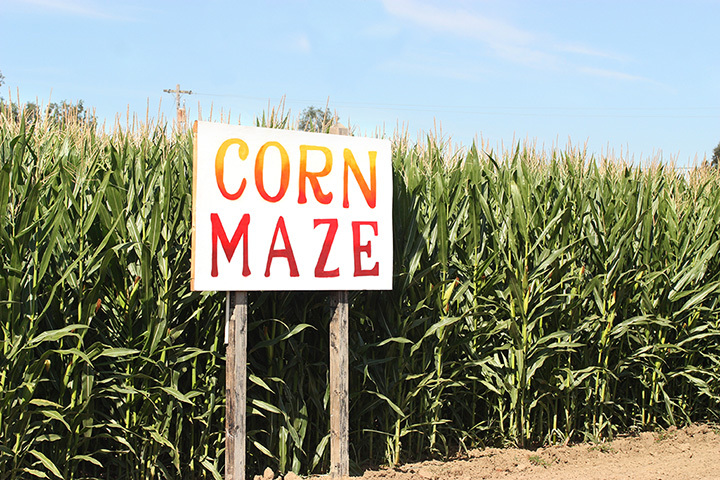 The farm operation centers on row crop and specialty crops with a new focus of family entertainment. The farm consists of approximately 1100 acres of land, situated just 6 miles north of Sikeston, Missouri at a small town called Blodgett in Scott County. Owners Sheila and Donnie Beggs live on the farm with their 3 children: Taylor, Shelby and Bryce. The crops are corn, soybeans, watermelon, and pumpkins, watermelon being the primary crop. We hope you enjoy visiting our web site, and we invite you to come out to our farm and experience some of the many fun and exciting things we have to offer. It's a family farm where the heritage goes back to 1895 when William Arthur Beggs first planted watermelons. This began a family tradition of watermelon farmers filling the need of consumers across the U.S.
Around the 1900's Blodgett became known as the "Watermelon Capital of the World." Blodgett received an award at the World's Fair of 1904 testifying to the fact that Blodgett was known as the largest watermelon-shipping center in the world. During the melon season, mile-long freight trains were loaded with watermelons from the wagons of the growers to be shipped to the northern markets. William Arthur Beggs and Mary Melissa Capps were married at Benton, Missouri on October 23, 1897. He was always engaged in farming, principle crops being cotton, corn, wheat, and watermelons. He also owned livestock. William and Mary had five sons: Armor, Finus, Tris, Dubb (W.A. ), and Robert. They assisted with the planting and harvest from the time that they were small children on into their adulthood. Dubb and his father hauled lots of melons to Market in St. Louis, Missouri, Chester and Red Bud, Illinois, and all the towns in between. Mr. Beggs was a man of his word, trustworthy. If a merchant told him he had some green melons, Mr. Beggs always replaced them no questions asked. This trait has been passed down through the generations along with the farming tradition. The marketing of melons changed through the years. By the time Dubb was a young man melons were being hauled by truck to the market. He continued this practice until about 1955, or later. He then sold to brokers who did their own hauling. Dubb hauled melons to the Broadway Market in St. Louis for many years. During the real busy season, he would sometimes deliver two loads a day to St. Louis. The price of melons could fluctuate from one day to the next. One time his load of cantaloupes did not sell so he brought the entire load home and fed them to the hogs. On September 23, 1937, Dubb married Virginia Dunn. They had three children: Gail, Gary, and Donald. Donald and Gary joined a farming partnership with their father in 1967. They built our loading dock, the first of its kind in our area. They were also the first farmers in this area to use a gas-powered gun to scare the black birds away from the melons. Some years they were the largest melon producers in the state of Missouri. Donald married Margaret Goehri on July 15, 1961. They had two children: Jennifer and Donnie. Gary married Ann Ferrell on February 25, 1958, and they had three children: Michelle, Douglas, and Cameron. The entire family was involved in the farming operation. For a period of time there were 3 generations of Beggs' involved in this business, including the wives and daughters, who drove the tractors and trucks. This way of conducting business made for a very close family relationship. Time passed and things changed. Dubb retired and eventually all the brothers and cousins parted farming businesses. Donald and Donnie were the only two left in the watermelon farming business. Donnie went off to college but returned every year to help with the family farm. Once he finished school he returned to the family farm. Donald did most of the telephone marketing, selling melons through brokers. Donnie ran the watermelon crews. The days of high school and college boys working during the summer on the farm are over. We now hire a crew leader, which employs migrant workers to assist in the harvest. On April 25, 1992, Donnie married Sheila Lynn and they have three children: Taylor, Shelby, and Bryce. We have hopes that one of them will carry on the family tradition. Now they try to assist in the small task of the operation. In December of 1996 we lost Donald R. Beggs, the best son, father, father-in-law, husband, and friend. We miss him dearly. This left Donnie running the family farm. His spouse Sheila quit her full time job to raise the children and help with the farm. At this time we raise approximately 200 acres of melons. We sell most of them through brokers, but also sell to peddlers and individuals. Most seasons we sell over 150 truckloads.